Itel doesn't make the best smartphones in the Nigerian and African smartphone industry, but they sure make many affordable smartphones targeted at entry-level Android users in the market. 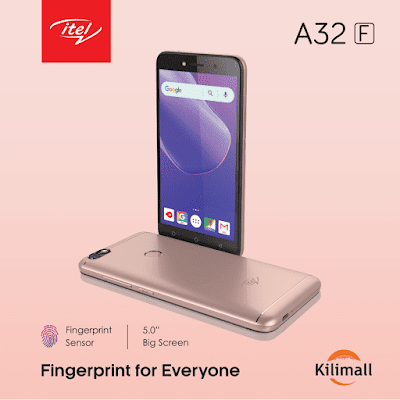 The Itel A32F is the company's latest budget smartphone, and it comes with some noteworthy features including a fingerprint scanner and Android 8.1 Oreo, the latest version of the Android OS. Where else would you find a smartphone that has a fingerprint sensor, runs on the latest software and has other decent specs at N20,500? The Itel A32F is the perfect smartphone for the younger brothers and sisters as well as entry-level smartphone users. It's also good as a side smartphone for those who've gone far in the Android game. The Itel A32F doesn't look bad for a budget smartphone. In fact, it's better looking than many smartphones in its price range. It has large top and bottom bezels and uses capacitive buttons for navigation. Its fingerprint sensor is nested on its rear which is coated so it looks like it's made of metal. The phone looks thick though, but it's not too heavy. The device comes with a 5-inch IPS LCD display which has a 854 * 540 pixel resolution, as is typical of budget phones. The Itel A32F is powered by a quad-core MediaTek MT6580M processor which runs at a maximum speed of 1.3GHz and is assisted in graphics processing by a Mali-400 MP GPU. In terms of memory, the phone comes with 1GB of RAM for decent multitasking and 8GB of internal storage for keeping all your multimedia files and installing apps. You can increase available storage by a margin of up to 32GB with an external microSD card. The Itel A32F is powered by a 2,050mAh battery which can last for up to half a day with monitored use. It sports a 5MP camera on the rear with a LED flash, while a 2MP camera handles selfie photography on the front. I was waiting for 4G to complete this budget smartphone's triad of spectacular features, but the gods won't allow this one, as the Itel A32F doesn't support 4G LTE network connectivity. It comes with a dual SIM slot and has Bluetooth 4.0 and Wi-Fi 802.11 b/g/n. 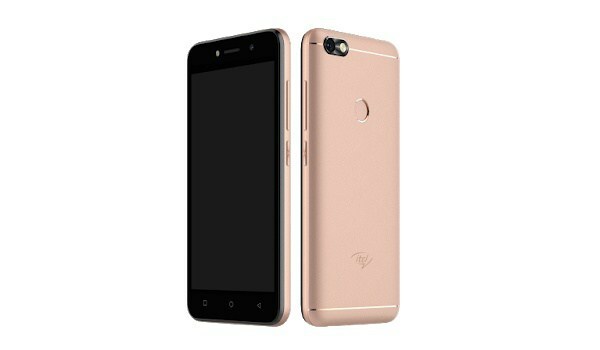 The Itel A32F runs on the Android Go edition of the latest version of the Android OS, 8.1 (Oreo). A couple of budget smartphones running Android Go have been launched recently, including the Huawei Y3 2018. 5-inch display with FWVGA (480 * 854) pixel resolution. 1.3GHz Quad-core MediaTek MT6580M Processor. The Itel A32F costs just N20,500 and is currently available in Nigeria on both online and offline retail stores.